About Ayushman Bharat, he said it is a big step to ensure achievement of universal health coverage for the people. He Prime Minister expressed satisfaction that 1 Crore 57 lakhs people from Tamil Nadu are covered under this scheme. PM lauded that in just over 3 months, about 89000 beneficiaries have benefited under this scheme and an amount of more than Rs. 200 Crore has been authorized for admitted patients of Tamil Nadu. 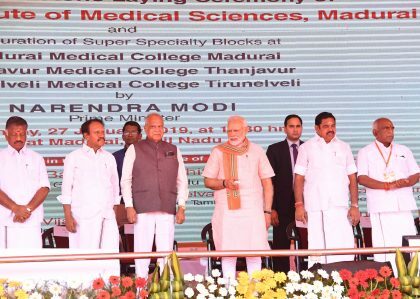 He said, “I am happy to learn that Tamil Nadu has already started 1320 health and wellness centers”.